In the UK, average income growth fell to just 0.7% in the year running up to the general election in June, research from think tank the Resolution Foundation has found. The data illustrates the challenges faced by target SDG 10.1 to progressively achieve and sustain income growth of the bottom 40 per cent of the population at a rate higher than the national average. Gender InSITE is an international initiative to promote the role of women in science, innovation, technology and engineering - supporting the goal of SDG target 10, Reduced Inequalities. 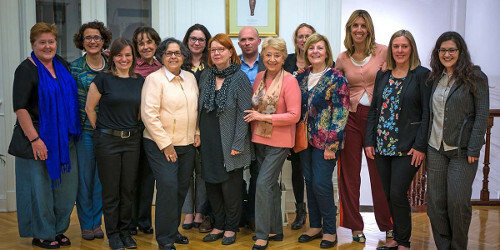 The Elsevier Foundation has been a long-time advisor and supporter of GenderInSITE, most recently providing a $40,000 grant for two thematic workshops in 2017: one addressing Latin America, exploring how a gender perspective in science education is indispensable to a sustainable development and the second in the South African region focusing on Gender and Innovation.